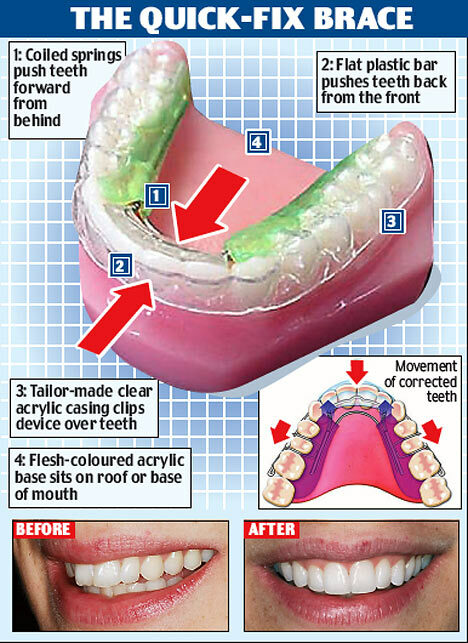 The fast alternative to fixed braces. In today’s modern world many people are looking for a faster alternative to conventional orthodontic braces. The invention of the Inman aligner has allowed people to enjoy the straighter smile in approximately 12 weeks. If you’re looking to have straighter teeth in the shortest possible amount of time then the Inman aligner could be the perfect option for you. How the Inman Aligner can improve the health of your mouth. Teeth that are crowded or too widely spaced can create unhealthy conditions, including swollen gums, redness and pocketing, all of which are signs of periodontal disease. As ther Inman Aligner rapidly straightens your teeth, it can also do great things for the health of your mouth. Clinical studies have shown that gum health may improve with the use of Inman ALignerduring orthodontic treatment. Properly aligned teeth can help gums “fit” tighter around each tooth, which may lead to better periodontal health. Unlike braces, with the Inman Aligner, you can brush and floss normally as you simply remove the appliance, this can help prevent tooth decay and periodontal disease. Unlike traditional orthodontics or braces, the Inman aligner is removed whilst eating, this means food simply doesn’t get trapped as it can with conventional fixed orthodontics! Maintaining a good oral hygiene program will also reduce chances of plaque buildup, tooth decay and periodontal disease. Is The Inman Aligner for Me? Effective for a wide range of smiles. The Inman aligner only works on the front teeth, these teeth move faster than back teethwhich is why treatment can be undertaken so rapidly. If you need to have the back teeth moved as well, four example if you have a crossbite, then another form of orthodontic brace may be better suited.